Welcome to Nia! I’m delighted to meet you here. When I took my first class in Cape Town, I had no intention of teaching Nia. I just desperately wanted to take classes. In my first class in Cape Town, where I was visiting family, I felt a spark light me up when the teacher said to the class, it doesn't have to look good, it has to feel good, it can look ugly. At that moment, I let go of feeling self conscious and had FUN moving, sweating and experiencing the Joy of my Body's Way. Ten and half years later I am the UK resident Trainer, I was awarded Trainer of the Year in February 2014, (that was a wonderful and unexpected surprise!). I have grown a community of Nia loving teachers and students and I teach and take Nia classes every week. Nia has been a joyful, beautiful gift from the universe to my Body and my Life. Nia is a gift available to Every Body. Before finding Nia, I was an Opera Singer and worked with CAPAB my local Opera company in Cape Town, I had an underwhelming singing career over many years and worked with Opera companies in the UK including British Youth Opera. I look forward to sharing the dance with you. If you are interested in finding a local Nia class or training in the Whitebelt Training, feel free to ring me. @sally_field such a devastating story to hear, I listened to you reading 'in pieces' on audible last night. Couldn't fall asleep through the torture of your childhood, woke up with a headache. Cried when you got discovered. Thank you for saying it out loud. Nia trainings are designed for people of all shapes and sizes, and may be taken for both personal enrichment and professional development. They teach you about sensory-based movement as a pleasurable way to achieve lasting health, wellness and fitness. The Nia Training Structure, like the traditional martial arts model, includes several progressive belt levels with the First Degree Black Belt representing the highest level of mastery. 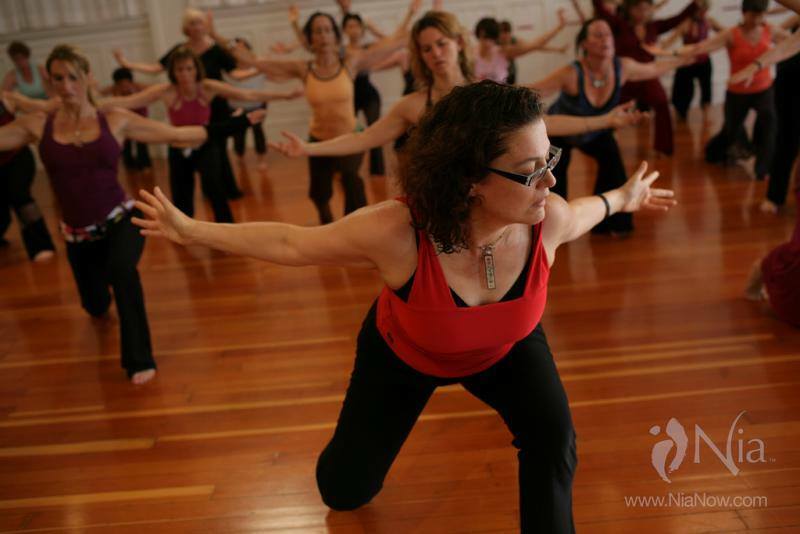 Each belt intensive addresses five core-competency areas (movement, music, anatomy, science and philosophy) while exploring 13 unique Nia principles – except for the Green Belt, which is dedicated solely to the craft of teaching. The Nia White Belt Intensive lays the foundation for all Nia training and education. In White Belt, you are introduced to the first 13 principles of Nia focusing on the physical realm of the body. All 13 principles of White Belt are explored with your body and movement through the lens of Science-Craft-Art. During your training, you will be guided to place attention on your self, on your body, and on physical sensation, using movement to develop cognitive and somatic knowledge. During these seven days you will experience how Nia techniques work on you and your body, and what makes you feel good. This intensive experience will inspire you and help enhance your body and life as we focus on becoming more attentive to and mindful of ourselves. Movement sessions teach you about moving, health and potential. Our movement methodology is unique and guided by technique, safety, comfort, variety and the effect that movement has on body, mind, emotion and spirit. Anatomy sessions look at the form and function of each of the body parts and systems. We focus on how to consciously use the body the way it was designed. Music sessions are designed to expand your listening skills, expression and health. We use sonic vibration to affect the body and to achieve enhanced expression, emotion and energy for your body. You will learn a way of mapping and decoding sound that will help you hear and track sounds in a new way. Philosophy sessions provide an in depth look at the body’s inherent wisdom. Key Nia terms, principles and concepts are taught and experienced. Principle 1, The Joy of Movement, is the foundation for the entire body of Nia work. This principle teaches you to choose sensation to connect to Joy. In Nia, the word Joy expresses a universal energy, different from emotional enjoyment. As you learn to sense your body, you can invite Joy into the experience of your life. Over time and through Nia practice, you can learn to sustain and increase the amount of Joy you sense in every experience. Don’t want to teach Nia but want to deepen your practice? take it for your own personal development. You will develop a deep connection to your body, mind, emotions and spirit. You will learn about physical sensation, self-healing and how to be guided by your own internal navigational joy compass. You will learn how to condition your Body/Mind and Spirit, and much more! Those who choose to become certified Nia teachers evolve their love of the Nia practice into a viable and fulfilling career. Aspiring Nia teachers follow the same training path as personal enrichment students – though they are eligible to teach after completing the White Belt Training and becoming Livelihood members. 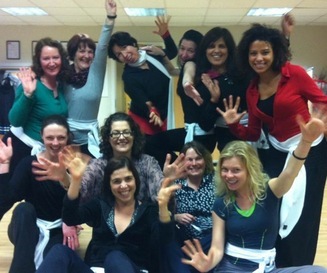 £95 for ten week course -consecutive classes. If you love yoga, Pilates, or teach Mindfulness, you can discover how adding Nia to your current practice adds a whole new dimension to your work and life. You may be a yoga or pilates teacher, a certified coach, perhaps you’re a physiotherapist, hypnotherapist, ballet teacher and you’ve spent a life time with your practice. 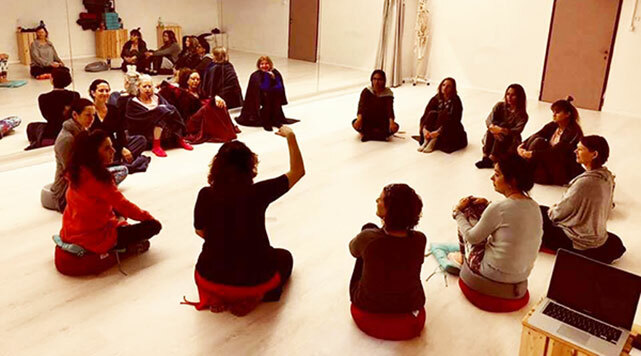 Many people who discover Nia at some point in their lives, go on and train to become teachers, and experience Nia as a way of integrating their movement practice as Nia is a mandala of many disciplines. As a trainer or facilitator, Nia will empower you to lead groups through the body. As a coach, you will bring greater embodiment, intuition and space to your clients. 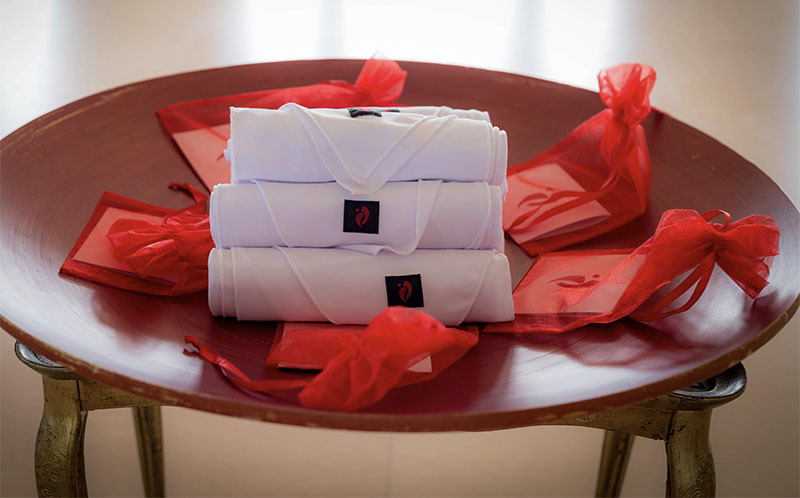 Nia is a wonderful complement to your yoga practice. Here’s an article by Catherine McCormack an ashtanga yoga teacher, talking about how training as a Nia teacher, revitalised her Yoga practice. If you’re interested to see what’s possible when you bring NIA’s somatic education to coaching, take a look at Dorit’s coaching website. Dorit’s unique cross over from business to the body, gives her new tools in coaching individuals and leadership teams. Dorit is a certified coach CPCC ACC and a registered mentor with the International Coaching Federation as well as a team coach. 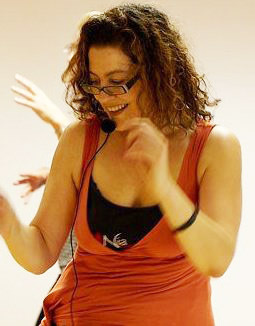 Her Nia practice has allowed her to bring the body to coaching in an innovative, powerful way. Dorit works for the Hobbs Consultancy in supporting women in leadership in large media corporations.. Success story Jennifer Morris, Strategic Planner, Google I wasn’t sure what to expect heading into the session but the small changes she recommended have had such a positive affect on my life, both inside work and outside. Connecting with your body in the ways she suggests leaves you feeling calmer and more in control. Coming out of the session, I now feel I have the ability to command more presence in meetings.. Success stories: - Fiona Buckland ACC. "I started to work with Dorit to fulfill my 10 hours of mentor coaching as required for my Associate Credited Coach with ICF. With Dorit's expert mentoring I passed my exam. But I gained so much more. As a result of working with Dorit, I am a better coach: more courageous, more embodied, more able to trust my intuition and coach from my heart and gut, and more aware and in ownership of my unique and powerful presence. I believe this has benefited my clients immensely. But even more than this, I am better able to see myself as a coach, to dance in the space between self-doubt and inspiration with self-compassion and care in service of my clients. The experience has been life-enhancing and whether as a mentor or as a coach, I recommend Dorit wholeheartedly.". Success story: Lola Fayemi, certified coach BA Honours Psychology It's been about a month since I completed my Nia white belt and my life is definitely different. I feel like my life is about to really take off as a result and know this is only the beginning. I have arrived in my body and feel like in my body, I have a real ally. It's with me all the time and genuinely knows what's best for me in a way that my mind never could..
Life in my body means I am in constant 2 way communication with a form of intelligence that ALWAYS has my back and guides me to make the best decisions for myself every single day, in every single way. I highly recommend the Nia white belt to anyone that wants to live an easier yet upgraded life. As a Life Coach I have done many personal development courses over the years but this was on a completely different level and is benefiting me in every single part of my life, my relationships, career, finances, health and so much more. . Honestly if you're thinking about doing the Nia white belt this is where you are going wrong. Don't think about it, just do it! You have absolutely nothing to lose and your best future possible to gain! Why would you not! . Elitza Ranova PhD Rice University, Certified CTI Coach, ACC, USA Coaching and mentoring with Dorit increased tremendously my awareness of the voice of my intuition, allowed me to recognize its value, and helped me learn how to tune into it and make sense of it. Today my decision-making is still grounded in rational cons-and-pros considerations but is profoundly enriched by the ability to tap into a deeper layer of knowledge. This allows me to make decisions that feel deeply authentic and that benefit from the full range of what I've learned through previous experience. Dorit is by far the best coach I have ever had..
Idil Seytanoglu Consultant, Trainer, Certified CTI Coach, Turkey Great experience to attend the while belt course with you, it is something that helps my training, coaching and personal life. You are an amazing trainer Dorit and thank you very much for everything..
Lucy Barkas Director and Principal Coach WhatWhenWhyHow . As a coach, I knew the value of supervision, but didn’t really know what the process involved. To say I was slightly fearful would be an understatement. 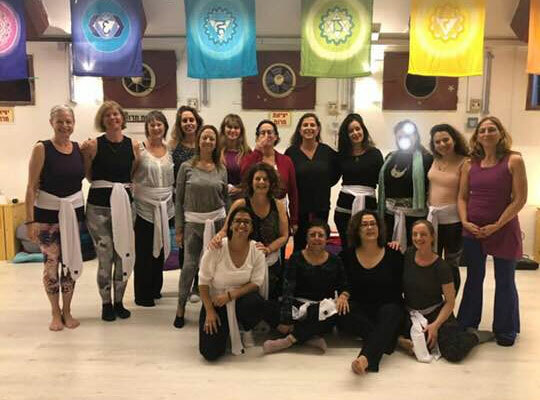 During the sample session, I was immediately calmed by Dorit’s style: warm, fun and professional… I feel that each session has really helped me learn and grow as a person and as a coach, and as a result I feel in flow with my clients and reconnected once more. I am much more in tune with embodiment, space, and structure since working with Dorit… I do love the process of finding areas of growth, development and improvement.Dorit’s approach is always learning, and never failing. How does Nia complement Pilates? Both Nia and Pilates engage muscles to bring flexibility, greater coordination, increased balance and strength. In Nia we use what we call “pearls” , to boost performance and to stress and sense deep muscles – pearls allow the body to move systemically and enhance our ability to sense. If you are a Pilates fan then you will know that a physical workout is often also a mental workout, providing you with clarity and concentration. Just as your pilates practice often gives you a mental workout which increases your focus and concentration, as well as brings clarity, NIA’s sensory-based workout engage the Mind and Body, leaving you feeling grounded, and energised at the end of a class..
ADDITIONAL BENEFITS OF NIA Nia has both choreography and freeform movement which like qi gong allows you to let go of your mind and sense a harmony between your body, mind and emotions integrated and in flow. Free movement allows you to stop thinking and to listen to your muscles, bones and joints pulling you from move to move. This is movement medicine at its best. The more you let go of your mind, the more your body will self-heal. Free sensory-based movement improves your awareness and control of your body, leaving you feeling beauty and integrity. .
WHAT NIA CAN OFFER YOUR PILATES Pilates students love being able to dance upright to great music while Nia is the perfect complement to the strengthening, reinforcing exercises of Pilates. The holistic training concept behind Nia will strengthen all your muscle groups. 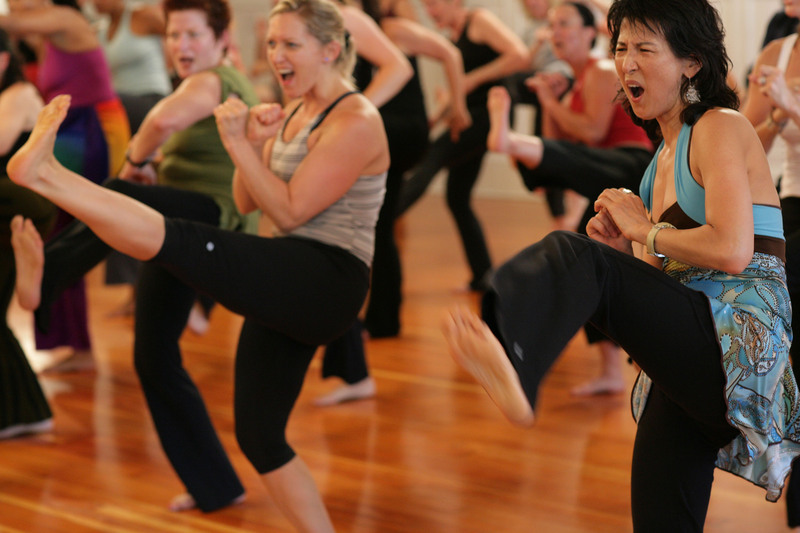 The dance-based elements will bring emotional expression and joy to the mix, while the martial arts bring great conditioning at the same time as the yoga and mindfulness, slow you down and allow you to drop deeply into your body’s way of moving. 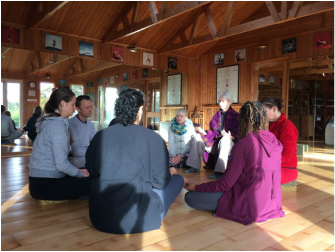 Jon Kabat-Zinn’s intent to allow you to stop thinking and centre by sensing your breath and your whole body, resonates with NIA’s many practices and tools to deepen body awareness and increase your ability to sense stillness as a place into which you can rest. Nia like mindfulness, develops your ability to observe rather than judge and to include every experience in life as one that can be felt, and sensed from a place of stillness. .
ADDITIONAL BENEFITS OF NIA NIA will train you to get out of your head and into your body. Not thinking is such freedom! The freedom to experience your life with great joy in every moment. There is no other moment, than this one. And Nia and mindfulness are partners in bringing you into the now. In mindfulness, the anchor is the breath, in Nia the anchor is awareness of every part of your body, whether you are still, sitting, standing or walking. Stillness becomes a partner that allows you to see your life from a place of deep reassurance and safety while including every emotion and sensation as a part of your experience of being human. .
WHAT NIA CAN OFFER YOUR MINDFULNESS As a mindfulness practitioner, Nia will increase your ability to sustain stillness in every moment of life. One of the arts that underpins Nia is the work of Moshe Feldenkrais and the ability to sense. Sensing and being body aware, stops anxiety, removes stress and rewires your mind in a powerful way. You are embodying stillness. Stillness is healing for the body and mind. Increasing your intuition in your business and life. Since taking the training, my intuition has absolutely increased. My trust in my abilities within critical moments is much higher. I can stay in my body, in a presence of a calm knowledge I did not have before. I have greater access to an inner guidance of knowing what to do when I don’t know what to do. Best personal development programme. As a Life Coach I have done many personal development courses over the years but this was on a completely different level and is benefiting me in every single part of my life, my relationships, career, finances, health and so much more. Honestly if you’re thinking about doing the Nia white belt this is where you are going wrong. Don’t think about it, just do it! You have absolutely nothing to lose and your best future possible to gain! Why would you not! Most Innovative Workout! (NIA) stands head and shoulders above a crowded look-alike market. 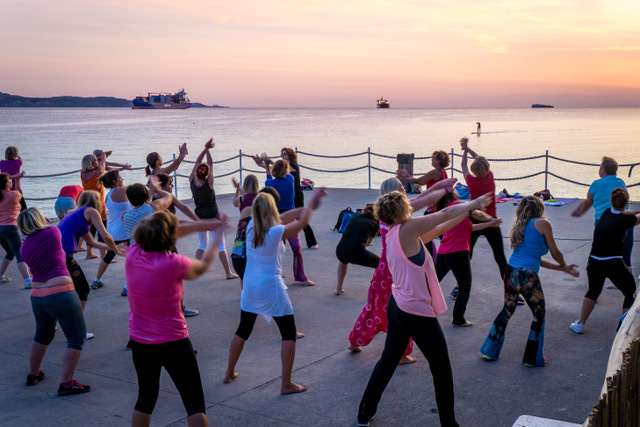 Nudging in among popular yoga, Pilates, and tai chi offerings, Nia is an imaginative blend of dance and martial arts movements that lets even those with no experience in any of the above jump in and follow from the start.